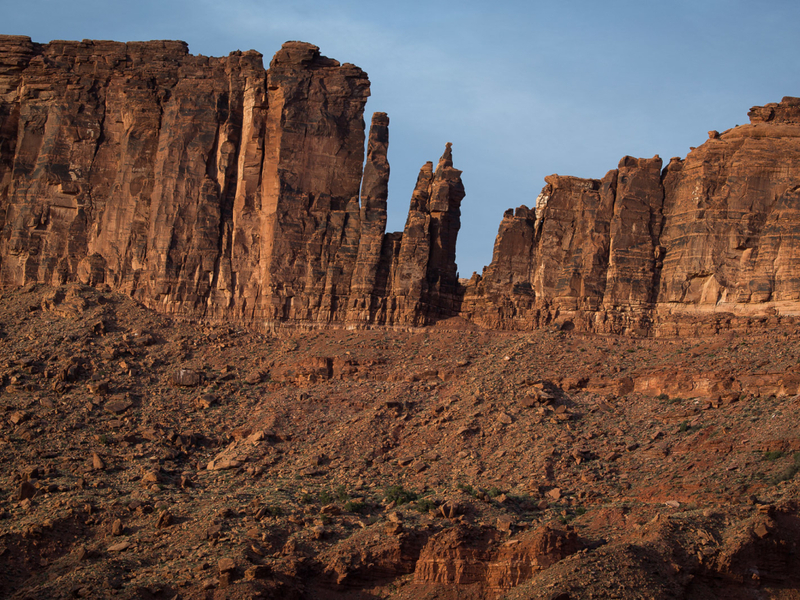 Lighthouse and Dolomite Towers are highlights of the landscape of River Road, the road between Moab and Castle Valley. From the first time you see them as you enter the Big Bend landscape you will want to go play on them. Lighthouse, Dolomite and Big Bend Butte host six 2-pitch to 4-pitch climbs rated 5.10 to 5.12+. Five of the climbs are rated 4-star, one is rated 3-star. Big Bend is a long graceful sweep in the Colorado River. These climbs are close to town and have a short approach. 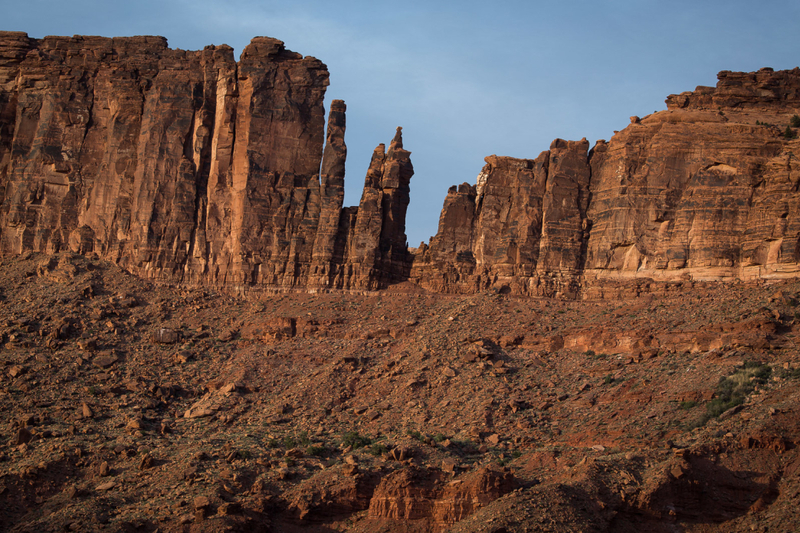 5.10 Lonely Vigil on Lighthouse Tower is one of Moab’s most classic climbs. Advanced climbers who are ready to dive into hard climbs will enjoy this area. Multipitch routes on the towers are great testpieces and strong intermediate trad climbers will have a great time on the 5.10s. The views are incredible from the tops of the summits! Drive out of town heading north and take a right on River Road, route 128. Drive 7.2 miles looking for a small pullout on the right side of the road. You will see the Lighthouse Tower (the one on the right with the ball on top) and Dolomite Tower (to the left of Lighthouse, looking like it is almost touching Big Bend Butte to the left) The trail is visible and marked with cairns under the notch to the right of Lighthouse Tower. Plan on the approaching taking an hour. There is no water available, as with most activities in Moab, you will need to bring it. Dogs are allowed but it is recommended that they stay on leash near the road. In the summer months, this area is hot, if you bring your dog, make sure they have shade and plenty of water to drink.